holidays and vacations. 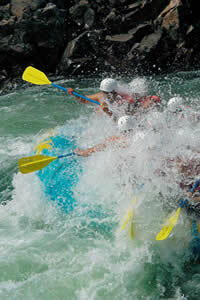 The category focuses on activity and adventure holidays for families rather than standard family sea and sun packages. The trips listed will generally be packages created especially for family groups, or general activity and adventure holiday trips where a point is made of ensuring families are welcome. We also have ideas for DIY family activity trips as well as special offers, discounts and deals, reviews, articles and travel tips. Charitable not for profit organization arranging volunteer projects abroad, offering travelers the opportunity to explore a new country while taking part in rewarding and meaningful service work. Ideal as gap year trips. Get a broader view of the world: volunteer your time and efforts to improve the lives of those less fortunate. Cost effective 'Learn to Sail' holidays in Croatia, sailing as part of a flotilla. Train to crew or Internationally Approved Skipper Certificate level, and holidays are suitable for beginners or improvers and for singles, groups or families. Also an extensive range of Flotilla and Bareboat/Flotilla options for existing sailors. Independent travel company with an focus on responsible travel. Adventure Alternative offer trips from mountain to jungle and from desert to arctic regions. They offer charity challenges, family holidays, wildlife safaris, yoga retreats and jungle camps to destinations that include Borneo, Nepal, the Moroccan Atlas mountains, East Africa and Russia. Tailor-made African safaris and African honeymoons. Africa Odyssey specialises in remote safaris to Botswana, Namibia, Tanzania, Kenya and Zambia, and beach breaks to the Indian Ocean islands including Zanzibar, Mauritius and the Seychelles. Tailor-made holidays and honeymoons to the Far East and India. Asia Odyssey specialises in itineraries to South-East Asia including Burma, Cambodia, Indonesia, Thailand and Vietnam. Activity holidays for families in holiday parcs across Europe, choose from adventure courses, canoeing, cycling, mountain biking, fishing, horse riding, walking and hiking, scuba diving, dinghy sailing, catamarans, windsurfing, kite surfing and sand yachting. Accommodation is in modern holiday homes, lodges or tents and there are swimming pools, free kids clubs and up to four children (under 18) stay free. Real adventure travel for families; carefully designed small-group holidays for parents and children. Trips are for families only and feature age-appropriate activities, family accommodation, and a balance of travel highlights, spontaneous situations and meaningful encounters. Safety is paramount and G Adventures check out holidays to ensure safe rides, secure hotels and fully-vetted activities. Water park with a choice of accommodation and a huge range of watersports and land based activities, ideal for families and groups of friends. Great Glen is open all year round and there are heaps of activities available throughout the year. Discover the wild beauty of Connemara, or the Wild Atlantic Way from Limerick to Donegal. Self-guided, guided and bespoke cycling tours in Ireland. Also luxury, family and electric assist bike (Pedelec) tours, and multi-activity tours that combine cycling with other activities like golf and hiking. Active holidays specialist in Sardinia (Italy) offering cycling and mtb tours, hiking and multi-activity trips for every type of traveller â€“ self-guided and guided. Cycle touring for beginners or families with children, to tours for expert mountain bikers looking for adventure. Also bike rental to scout Sardinia on your own. A 12-day adventure trip in Vietnam created specifically for families to enjoy together; for children of a minimum age of 6. The trip explores Hanoi, Ho Chi Minh City, Halong Bay and includes child-friendly activities like visiting local families in the Mekong Delta , a guided cyclo tour through Hanoi old quarter, a water puppets show, bike rides, boat trips and cooking classes. A chance for parents and their children to discover a country packed with colour, chaos, smiles, flavours, history, untouched nature and fascinating culture; more than enough to earn its reputation as one of the most popular travel destinations in the world. Action packed family holidays lasting from two days up to two weeks in an activity centre on the shores of Loch Ken on the edge of the Galloway Forest Park in SW Scotland. The range of activities available are suitable for all abilities and include sailing, canoeing, windsurfing, kayaking, a climbing wall, archery, mountain biking, zip wire, laser quest and more. A range of accommodation is available and includes a bunkhouse, cabins, loch-side camping or, for a true wilderness experience, a tipi or Mongolian yurt. Holiday River Expeditions offer this 4-day family rafting trip, running between July and September, suitable for beginners and with a minimum age of 5 years. The trip travels through four impressive canyons (Green, Snowhole, Cougar and Blue) in beautiful and stunning scenery. While there is some exciting white water when the river is at its highest earlier in the year, later in the summer it calms down allowing families to enjoy more family-friendly rapids, warmer water and white sandy river-side beaches. Holiday River Expeditions is a family owned/operated business who've been operating since 1966. They take safety very seriously and guests are well looked after; their boats and equipment are top quality and their river guides are fully and professionally trained. • Check what age groups the activities are targeted at to ensure they suit your family. Most providers will put a lower age limit on some activities and there is often a lower age limit on the entire trip. Some activities and holidays are just not suitable for younger children (e.g. motor driven safaris with long days sitting in a truck combined with the need to then keep quiet when animals are spotted! ); while others are just not safe for them (rock climbing, for example, will typically be pegged at around 5 years old, sometimes older). • If you're using an overseas provider check the language abilities of the people who will actually do the guiding or instruction on any particular trip. • Ask about instructor/guide qualifications, this can be difficult because outdoor and other activity qualifications vary widely. But ask anyway and then check any quoted qualifications online, find out what the acronym means and how the qualification compares with those for your own country. In the UK, and with UK based travel companies, you'll come across things like the MLTB (Mountain Leader Training Board) qualifications, the Mountain Bike Leader Awards, and the BCU (British Canoe Union) Star Award system for kayaking/canoeing – but there are plenty more covering different sports and activities. Then there are the European ones, and the US ones, and the ... well you get it! What's important is that there are qualifications and that your family is going to be looked after by someone with the right skills, who understands the safety implications of the activity. This is where travelling with a specialist activity holiday provider can be a plus, a good provider will have already researched the qualifications of the instructors and guides they're using, but it's still worth checking with them about this if the information isn't available on their website. • In some situations you'll find childcare is on offer so there are opportunities for mum and dad to have a go at the activities too. This is most commonly found on resort-type holidays where there might be nanny or babysitting services for the very youngest and kid's clubs of various kinds for older children. • Ask about group sizes; joining a group with other families can be a great plus on a packaged family activity trip; there'll be other kids for yours to join up with, possibilities for shared child care, and a new set of friends (we hope!). But make sure groups sizes don't get too big, and if that's a concern you'll find that some providers, particularly the smaller independent ones, can create bespoke trips just for your family. The travel-quest family activity and adventure holidays section is for listing holidays, vacations and tours targeted specifically at families and offering activity and adventure trips rather than the more standard family sea and sun packages. This can also include general activity and adventure holiday trips where a point is made of ensuring families are welcome (we need to see evidence of this on your website).